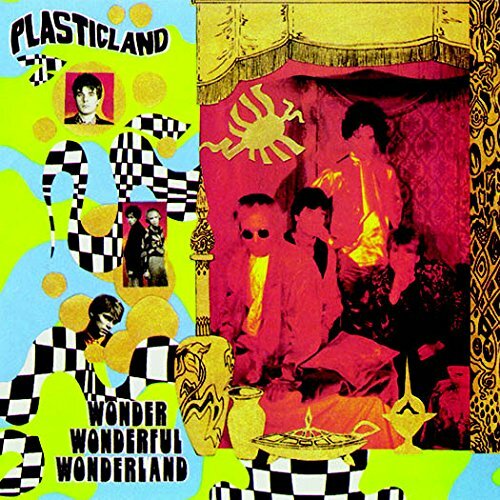 Discussions Magazine Music Blog: PLASTICLAND: Psych favorites reissued by Wounded Bird! PLASTICLAND: Psych favorites reissued by Wounded Bird! Milwaukee’s Plasticland - founded by Glenn Rehse and John Frankovic (who has since left the band) - have remained unjustly overlooked for years… yet they have also been absolutely adored by critics off and on since they first formed some 36 years ago. The band has managed to stay on the fringe of the Alternative Rock scene but have never been fully treated like the Psych-Rock/Garage icons that they are. And I’m sure this review isn’t going to inspire a mass pilgrimage to the record store but if it piques the interest of a few of you, then we’re getting somewhere! Even though they signed to the esteemed Enigma Records in 1984, Plasticland couldn’t be bothered to cater to the mainstream. Their blend of Acid, Garage and Psych Rock wasn’t merely a tribute to the sounds that they loved – it was obvious that this music was part of their DNA. The band was capable of writing catchy songs with a built-in atmosphere that sounded both retro and modern at the same time. Perhaps that is why their recordings remain timeless today. 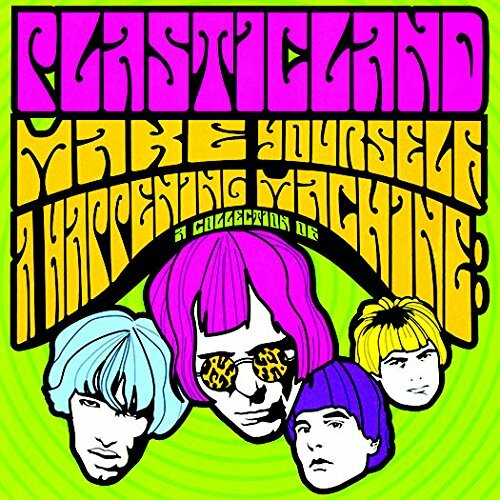 Plasticland are to Psyche what The Fleshtones are to Frat/Garage Rock and The Cramps are to sweaty, swampy, primitive Rock ‘n’ Roll. 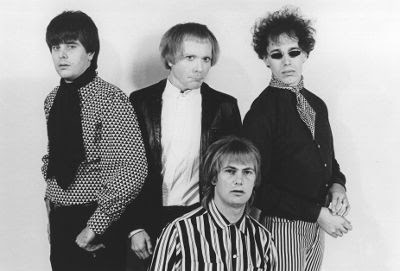 They could have sold out in their early days and become ‘the new R.E.M.’ like a host of their contemporaries. Thankfully, they chose to stick to their guns and remain Plasticland. Their albums have been out of print for a while but Wounded Bird has stepped up to the plate and reissued three of them on CD: WONDER WONDEFUL WONDERLAND (1985), SALON (1987) and MAKE YOURSELF A HAPPENING MACHINE: A COLLECTION (2006). WONDER WONDERFUL WONDERLAND was the band’s second album and their first recorded after signing to Enigma. The perfect blend of British and American Psych, the band’s Acid-drenched sound is heavy but tends to take flight and soar, as light as a feather. It is sometimes dangerous, but always playful. Never taking themselves too seriously, the music is still steeped in a deep understanding of what made Psyche Rock work in the first place. This is music that is other-worldly, quirky and slightly spooky but doesn’t lose its grip on reality. SALON expands Plasticland’s musical vision, incorporating more melodic aspects but never once abandoning the elements that made WONDER WONDERFUL WONDERLAND work so brilliantly. 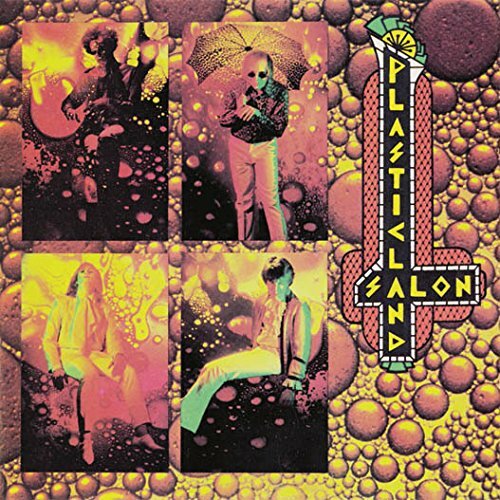 In a sense, the album’s tendency to have more hooks per minute works in its favor and SALON is quite possibly the best of the band’s first three albums. However, that is going to depend on what angle you take when listening to the album. Some wanted Plasticland’s Psych to be the aural equivalent of an illegal substance while others – like me – were excited to experience the band’s growth and maturing songwriting skills. Don’t get me wrong, though. SALON has its share of freak-out moments that are endearing but it was great to hear the band move forward without losing their identity. MAKE YOURSELF A HAPPENING MACHINE: A COLLECTION was a compilation released by Rykodisc a decade ago and serves as the perfect introduction to the band. More than just a collection of album tracks, this release does include tracks not featured on the previously mentioned albums so it is not redundant if you already own those. Serving as the perfect gateway into the world of Plasticland, the listener gets to hear all sides of the band in one fell swoop. If you are unsure about investing your hard-earned dosh on the entire Plasticland catalog, at least treat yourself to this one. Once you hear it, I’m pretty sure that you’ll be back for more. So, whatcha waitin’ for? Go buy something!